Published by: Bézier Games, Inc., Hobby World, MYBG Co., Ltd. In the course of a single morning, your village will decide who is a werewolf...because all it takes is lynching one werewolf to win! In One Night Ultimate Werewolf, each player takes on the role of a Villager, a Werewolf, or a special character. It's your job to figure out who the Were- wolves are and to kill at least one of them in order to win....unless you've become a Werewolf yourself. Unlike many other games, the real fun in One Night is figuring out exactly what happened over that one night, where many of the players performed some sort of special action. 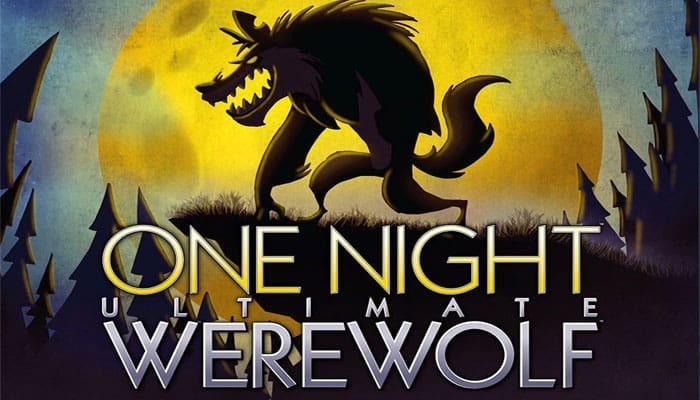 In One Night Ultimate Werewolf,'each' player takes on the role of a Villager, a Werewolf or a special character. It's your job to figure out who the Werewolves are and to kill at least one of them in' order to win...unless you've become a Werewolf yourself!